At current spot prices in the $15/ounce range, silver isn’t the screaming bargain it was over a decade ago when the metal’s peak for the year was $5.05/ounce on July 22, 2002. Despite silver’s higher price point today, economic observers still say it’s still a good value based on the mountains of debt and fiat money sloshing around the world financial system. The problem for many silver shoppers is finding the funds to buy more than a few ounces at a time. I’m reminded of a friend who laments owning “just a Dairy Queen cupful” of silver. His small stash may not seem like much, but it’s far more than what the average person possesses. Don’t give up if your silver appetite exceeds the capital on hand to feed that desire. An ounce today, a few more ounces next month, and your holdings will steadily grow. So how does a person invest in bullion and collect silver coinage at the same time on a blue-collar budget? The local coin shop’s silver bucket is the obvious starting point. This is the unglamorous depository for all the circulated pre-1965 dimes, quarters and half dollars that are purchased over the counter for their bullion value. 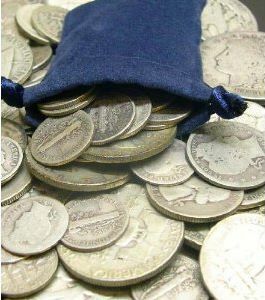 Customers are allowed to sort through the stash and pull whatever they want for the going rate of “90 percent”, as the .900 fine coinage is often called. While the typical silver bucket leans heavily towards common dates and well-worn older pieces, there are a few low-cost treasures. Mercury dimes in Fine or better sometimes turn up, as do circulated Walking Liberty half dollars. More than one thrifty collector has built a complete 35-piece set of Franklin half dollars from silver buckets. Why not search for as many different dates at bullion value as possible? Being flexible doesn’t hurt when playing the low-budget silver game. Some dealers may love Eagles while scorning Maple Leafs or other products that aren’t made in America. In that situation, it often means the non-U.S. issues can be obtained for a lower price than silver Eagles. 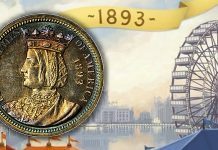 A number of modern U.S. commemorative and collector coins from various nations are available for close to melt value. If the design and theme is appealing, paying a bit more for a nice coin as compared to basic bullion isn’t a bad move. Privately minted one-ounce and fractional rounds and bars tend to sell for less than government-issued silver bullion of the same size and .999 fineness. With thousands of different designs and special issues along with new pieces coming on the market daily, this is one collecting pursuit that will never be completed regardless of income. 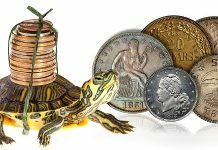 When it comes to combining numismatics, bullion content and value, it would be difficult to beat circulating silver coinage from around the world. 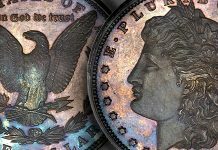 Compare prices for U.S. and “foreign” issues of comparable age, grade and rarity, and you’ll soon discover a new and low-cost way to be a dedicated collector. More than a few American dealers give the Rodney Dangerfield treatment to anything that wasn’t struck at one of the U.S. mints, which means they are often glad to blow out world silver for a good price. The Standard Catalog of World Coins is the indispensable reference work for the person who wants to explore silver from around the world. 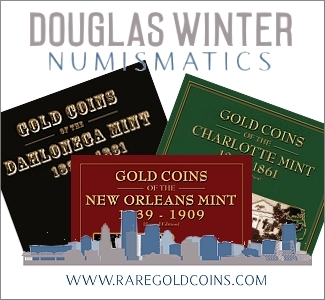 Anyone with even a bit of numismatic curiosity will surely find one or more areas of interest and collecting opportunities after turning some pages. Don’t ignore certified or older “raw” U.S. silver coins just because of a tight budget. Go ahead and indulge in the occasional slabbed Mercury dime, Washington quarter, Franklin or Walker Liberty half dollar as well as Morgan and Peace dollars. In some cases (dimes and quarters), the price point is often $30 or less. 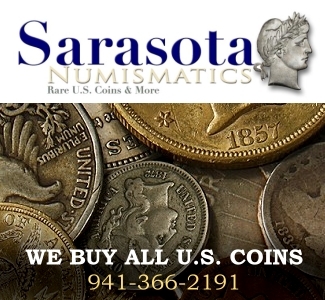 How about Barber and Seated Liberty coins at $5 to $100 in Fine to Extra Fine? A low supply of paper money is no excuse to avoid buying “honest money” in the form or silver. The metal isn’t called “the poor man’s gold” for nothing. I was a Jewelery repair,bence hand for about 30 year’s,repairing gold ring’s,setting Diemound’s,etc.i never cared for silver,but gold prices being very high,etc,it makes silver look very nice,sort of speck.How can you collect something if you can get it.There’s no sense waiting so long just to buy 1 ounce,when you can by silver month,and beat the game by volume.”Short cutting”…lol because gold can go downward at anytime,and ppl will lose big time,but,not so much with Silver,and ill say Silver,with CAPITAL letters,but I never did before,now,Sense I spoke with a silver tongue,maby you’ll send me a free coin,to get me started in saving silver,lol…have a great day sir..
Nice article. Another advantage of low budget stacking is it is highly liquid yet not so highly liquid. To me it is easy to spend, 40 or 60 dollars in a week discretionary if I buy some silver it is less liquid on a Friday night than cash or deposits. I am less likely to blow silver on a good time than deposits or wages. Out of sight out of mind as far as money to me. But when problems arise any coins I collect are often the difference between walking and driving. Or driving without a payment. I really would not care to lose 35% as I would now, however if my car died I wouldn’t hesitate!